Technology has reached a point where virtually any job can be taken over and controlled by machines. Jobs related to heavy duty work, complex computation and even customer service are being slowly taken over by machines that can do the job just as well and perhaps better. Molding products out of metal, wood and plastic is one of the major areas where machines are able to completely take over through mere algorithms. A type of computer-operated technology that is widely used in the massive production of all kinds of products is called a CNC machine. CNC stands for “computer numerical control”. A method used to control machine tools, CNC machining helps in the production of all kinds of products. It can control tools such as lathes, routers and mills. Due to its ability to easily and quickly produce complex designs that would normally require hours of human labor, CNC machines are widely used in manufacturing, but they are also commonly used to create prototypes. In order for a CNC machine to create a specific result, you need to configure computer software that will give it specific instructions on how to precisely move the tool in regards to speed, coordination, and other movement-related factors. The machine will typically start with a block of material such as metal, plastic or wood, which it will cut with great precision to achieve the desired outcome. First, a CAM (Computer Aided Manufacturing) or CAD (Computer Aided Design) drawing is made to work like a blueprint for the CNC machine. Feeding the drawing to the machine generates a “G-code” (more info here) that the machine can understand, thus giving it the information necessary to execute the desired product design. Tip: It is recommended to do a trial run to ensure that the CAM or CAD is programmed or drawn correctly. There are several major types of CNC machines; these include mills, lathes, routers, CNC plasma cutters and CNC laser cutters. 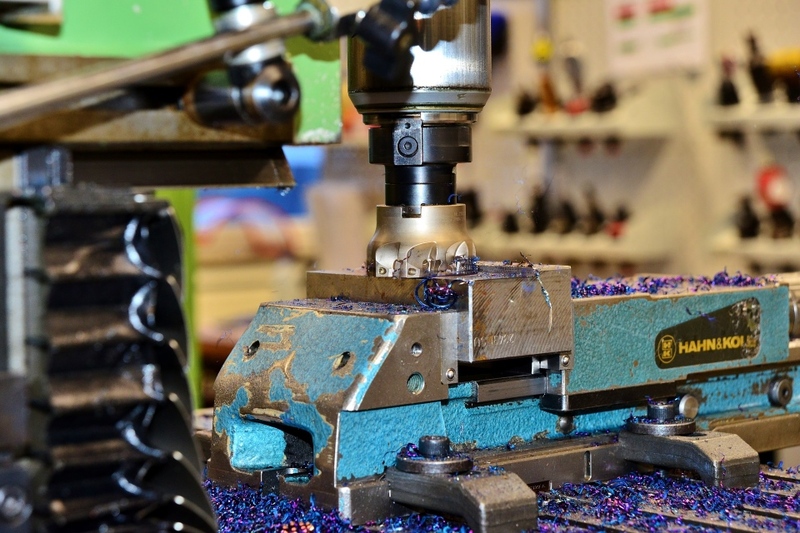 Caution: You must use the right CNC machine and tool bits in order to avoid damaging the tool or product. If you use a tool that is too weak for the material you’re working with, it can damage the tool itself, and vice versa. This type of machine is typically retrofitted to be turned into a CNC machine, meaning that the parts intended for human use such as hand wheels are replaced with parts that will be compatible with CNC technology. 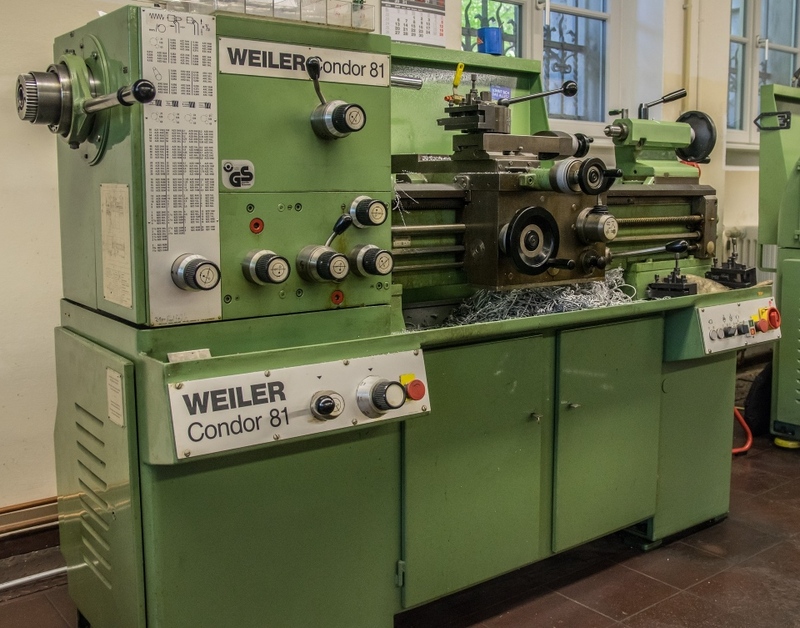 Still, many milling machines are now built specifically for CNC use, and these are generally quite large and basically ready to work independently. Milling machines typically use different tool heads depending on the product material and design. These can cut horizontally, vertically or in rotation. Also typically retrofitted into a CNC machine, lathes rotate material (usually metal or wood) on an axis and press it against cutting mechanisms in order to mold it into the desired shape. Because of the way in which lathes rapidly rotate material, they are typically used to create symmetrical shapes such as spheres and cylinders. Although there are some non-CNC routers, these are generally created specifically for CNC technology in such a way that they work directly with the computer. CNC routers use a more complex machine that uses 3 axes to cut, which means that it can cut upward, downward, to the sides, forward and backward. Some routers have more axes, which allows for cutting more intricate shapes. Routers have become popular in woodworking and engraving, as it makes for very neat, precise designs and removes the hassle of repeating detailed patterns over by hand. CNC wood routers are so precise that they can generate thousands of flawless pieces without a single mistake. Fact: CNC wood routers work similarly to metal mills, but the router spins considerably faster – between 13,000 and 24,000 RPM. 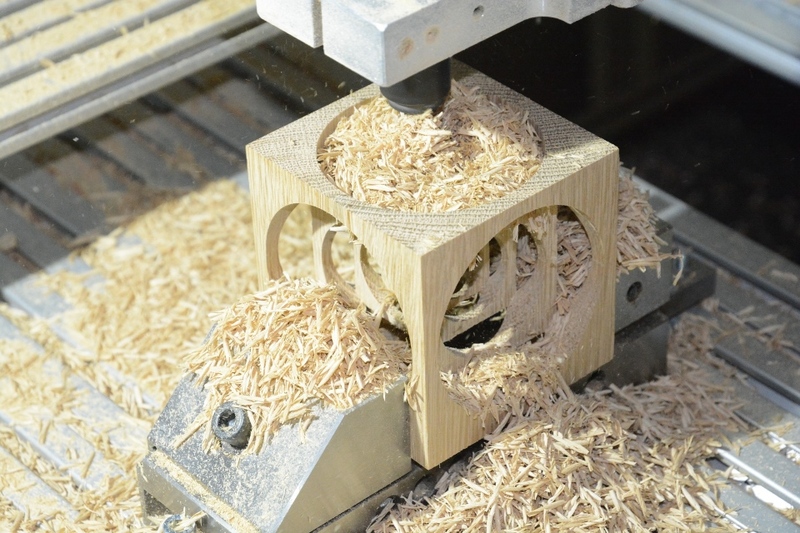 Some CNC wood routers are able to work a thousand inches per minute. Imagine the amount of high-quality woodwork you could generate with a CNC router! Non-CNC routers are also commonly used and will help you get the work done, but it’s tough to beat the quality of a CNC wood router that will produce endless pieces to perfection. For more on wood routers and their capabilities, see this article. Using a similar method to cut material, a CNC laser cutter replaces the torch with a laser, which can make for more powerful cuts. You can use different laser strengths depending on the material, and it’s ideal for cutting metal, wood and plastic. Typically used for cutting metals, a CNC plasma cutter uses 2 axes and a torch to cut thin shapes such as sheet metal and metal plates. Since it is extremely difficult to execute precise cuts on metal by hand, it’s easier to simply use a plasma cutter. One can easily classify CNC machines based on the number of axes used to cut objects. 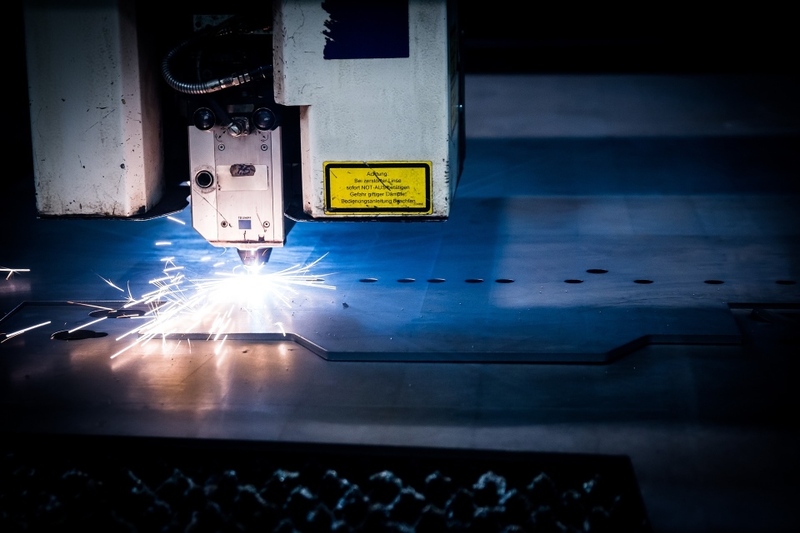 The less complex machines include milling, lathes and plasma cutters, as they generally only use 2 axes, only allowing for vertical and horizontal cuts. Routers and laser cutters are considered to be more complex machines due to their use of 3 or more axes; they can generally produce more sophisticated and detailed designs, but also may require more experience or knowledge in order to effectively operate. In any case, using a suitable CNC machine to perform any kind of continuous work related to wood, metal or plastic will usually be a good idea, because any CNC cutting method will be much faster and likely more precise than cutting by hand. There are many advantages of using CNC machines as opposed to hand-held tools. Two clear advantages are precision and speed. Assuming that the CAM or CAD file fed to the machine is correct, the amount of quality product that can be processed in a relatively short amount of time can be huge. This is part of the reason why manufacturing companies rely on CNC technology. Further, investing in CNC machining can also cut huge labor costs, which makes for a quick return, especially when used commercially. Also, the intensive labor that is typically required when working with wood and metal can be dangerous. Aside from steering clear of unnecessary cuts and bruises, removing heavy duty work from the commercial environment can save huge costs related to insurance, hospitalization, legal representation and employee disability compensation. CNC machining has been around for a very long time, but the rise of new technology and market demand have taken things to a whole new level – CNC technology today is pushing towards technological breakthroughs such as 3D printing. 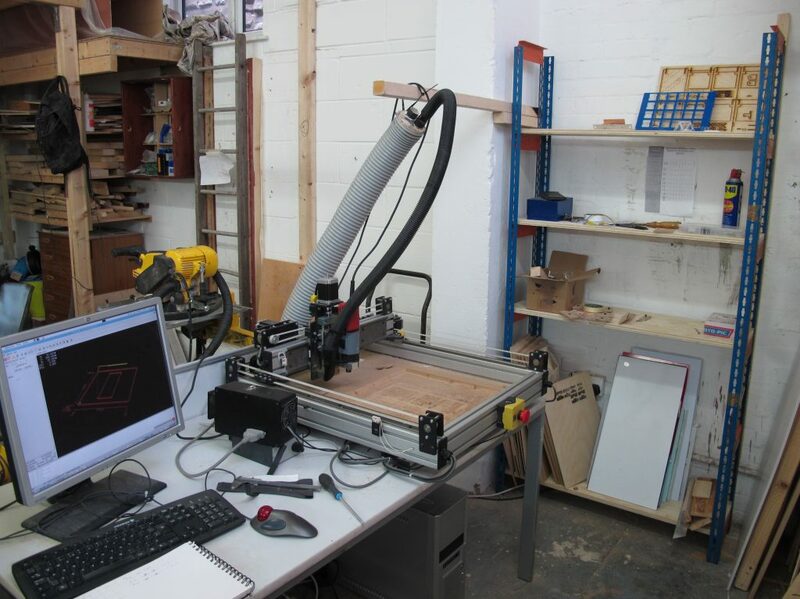 There are even DIY methods available that teach you how to make your own CNC machine at home! The wide availability of different CNC machine types can afford both manufacturing companies and hobbyists the luxury of producing a myriad of high-end, unique products. Now, what if I could show you how build your own high-quality CNC wood router at home with parts that you can find at your local hardware store? You can actually gain instant access to a step-by-step guide on how to build your own CNC wood router for a tiny fraction of the cost of a professional CNC woodcarving machine. I picked up this program a few months ago, and I was able to put together the machine for less than $500! Now I have my own homemade CNC wood router on hand that I’m using to make my dream woodworking projects a reality. For more information on how you can gain access to this guide, go here! Alternatively, you can read my full review of the program. Thanks for reading this content. If you have any questions, feedback or comments, drop them in the comments! Feel free to share the article if you liked it using the buttons below. For more on the applications of CNC machining in different industries, go here. 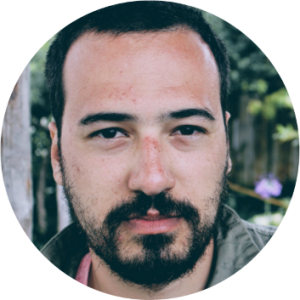 I’m a machinist with many years of experience working with lathes and milling machines. The manufacturing company I work for is going to be making a major transition over to CNC over the next few months and this gives me a good idea of what to expect. I also do DIY projects at home as a hobby, and until now I’ve just been using a chisel as necessary. I’m definitely interested in acquiring my own wood router for home use, and Ive just started to check out your link. helpful article, thanks. can you tell me a bit about the toolholders that CNC wood routers use? Hey Brendan, they’re definitely making a wise decision. CNC technology is worth it. As for your question, CNC wood routers typically use toolholders ISO-30, HSK-63 (both rapid-change toolholding systems, although the HSK-63 is becoming the standard nowadays), and MK2 (older machines with Morse Taper #2). Sometimes, a collet tool holder is directly affixed to the spindle nose, and the tools are held this way. You should be able to find more info on this elsewhere. Thanks for reading. What about Electron Beam, Electrochemical and Electrical Discharge Machines? These aren’t mentioned in the article. Thanks for your comment. These are novel technologies that use highly specialized techniques to cut material, typically for mass production. I don’t know much about these types, and so I’d suggest you do some research on it. Sorry I can’t be of more help. A CNC router is used for cutting various material such as wood, plastic, foam and metals like aluminium and composites. It’s normally designed to cut through materials that don’t contain iron, as the tensile strength of iron is very high. Steel is a combination of iron and carbon which gives steel a very high tensile strength. If you are looking to cut some stainless steel pipes or any form of strong steel, no, I wouldn’t recommend trying it with a CNC router. A CNC mill or CNC guided plasma cutter would be much better options. Also note that the thickness of the steel is a major factor when cutting; if it’s a thin sheet, you can probably cut it with CNC router by keeping the base strong, using the right configuration, and backing the steel sheet carefully. Even then, though, you may end up with edge shape issues. With that said, I would consult a professional to be sure you’re taking the right approach. Thanks for the comment.